Snippets and such from my week. Bubby! Today is his official birthday. Seven years ago today, this handsome young man's arrival into the world rocked my world and transformed me into a grandma. The same things as last week. The reading is slow going in summer. I've always wondered why "summer reads" is such a popular term and summer considered a super time for reading. I've forever found summers to be when I do the least amount of reading as there's so much else going on (especially when the nest was full and kids were out of school for summer). The new season of Orange Is The New Black on Netflix. Last season, Jim and I binged our way through the entire season in a weekend. This time it's much slower going as we alternate viewings with Orphan Black. And because we're spending less time in front of the TV thanks to the fabulous summery weather. 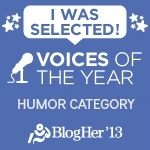 In the last couple days I submitted articles to Boomeon.com and Huffington Post. The publication date for the Boomeon one is yet to be determined, but you can find the Huffington Post one here (which is a slightly changed version of this post because repurposing content rocks... and makes me look productive). Father's Day festivities! Brianna and Patrick are honoring Jim with a BBQ dinner party at their place this evening. Andrea and Matt will do the same at our house on Sunday. Family, food, and fun—the essential ingredients for a fabulous Father's Day. Not just one but the last two photos I took on my phone. 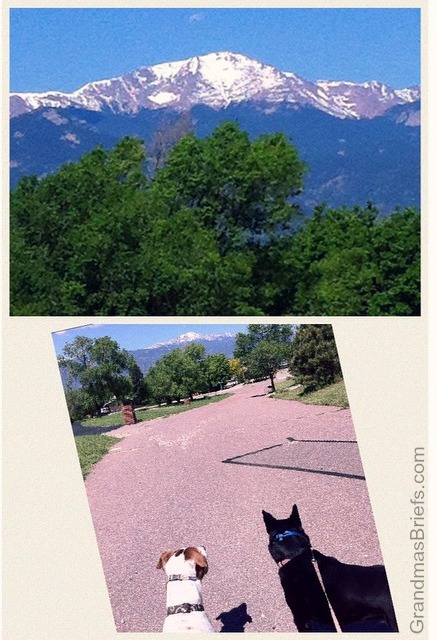 From yesterday's morning walk: Pikes Peak plus Mickey and Lyla. What's the good and great—or not so great—of your here and now?